Industrial Control Systems (ICS) are the automated systems used to deliver essential services to Canadians. ICS are responsible for everything from the electrical current that powers our computers, to the water that flows through our buildings, to the traffic lights that manage our daily commute. Public Safety Canada delivers ICS Security events aimed at strengthening the resilience of these critical systems. Public Safety Canada's Industrial Control Systems (ICS) Security symposium assists Canada's critical infrastructure owners and operators to better secure their most critical industrial control systems and information technology assets. 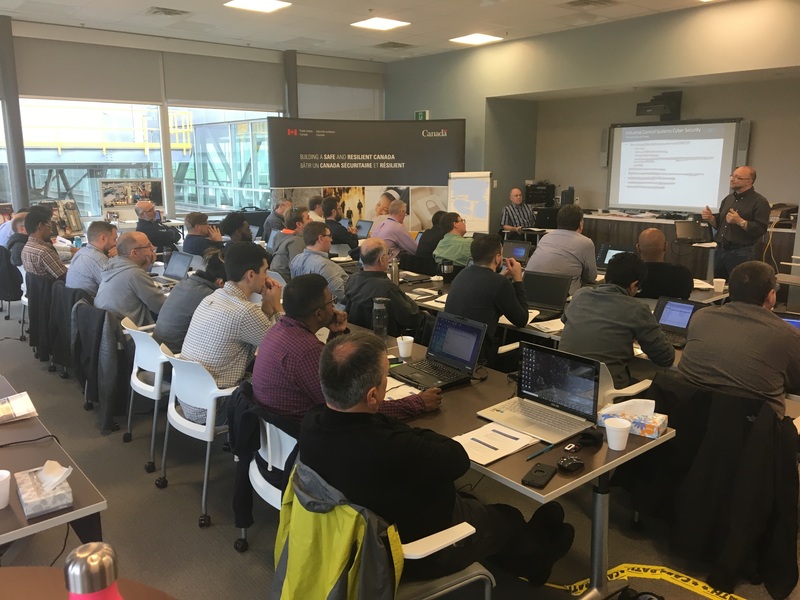 Public Safety Canada's Industrial Control Systems (ICS) Security technical workshops are focused on the development of basic incident handler skills for the ICS environment. The objective of this training is to raise awareness by giving a hands-on experience using real tools and targets. Participants will be expected to have a basic to moderate level of computer security training and proficiency within an incident response and/or network environment.